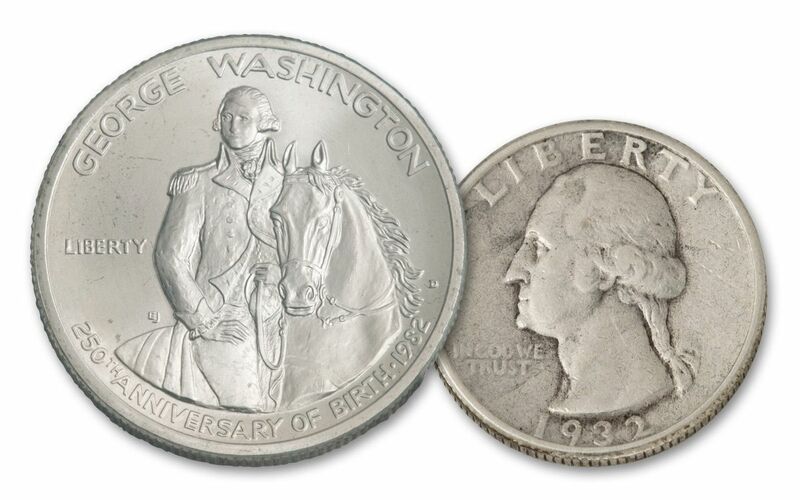 The first Washington Quarter was introduced in 1932, the same year as Washington’s 200th birthday. 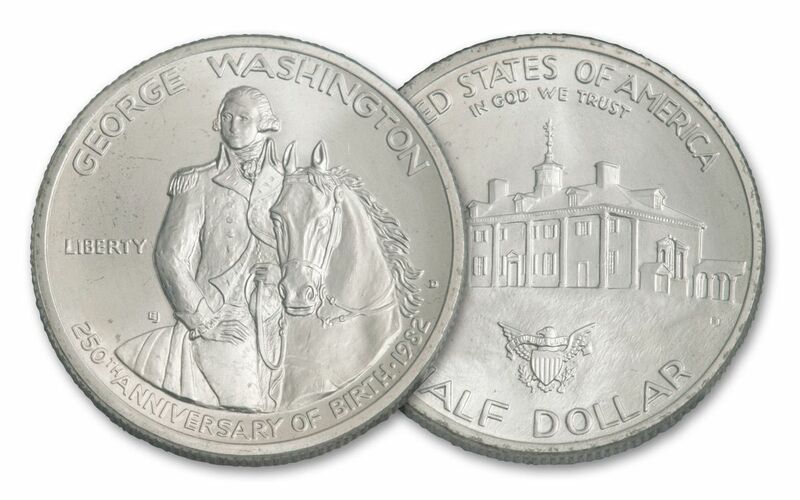 In 1982, the U.S. Mint celebrated 50 years of this coin with their first-ever modern commemorative—a Washington Half Dollar. 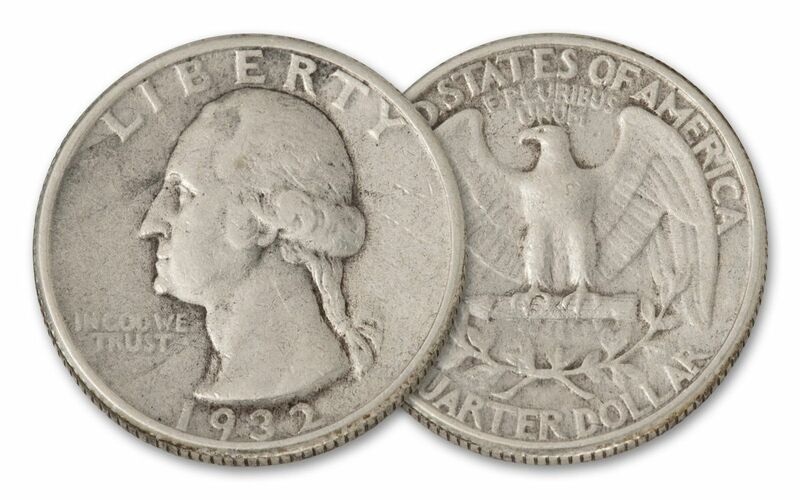 The half-dollar was struck in 90% silver, just like the original quarter, and remains the only modern commemorative half dollar struck in 90% fine silver. We’ve put these two historic releases together in Extremely Fine (XF) and Brilliant Uncirculated (BU) condition, respectively.